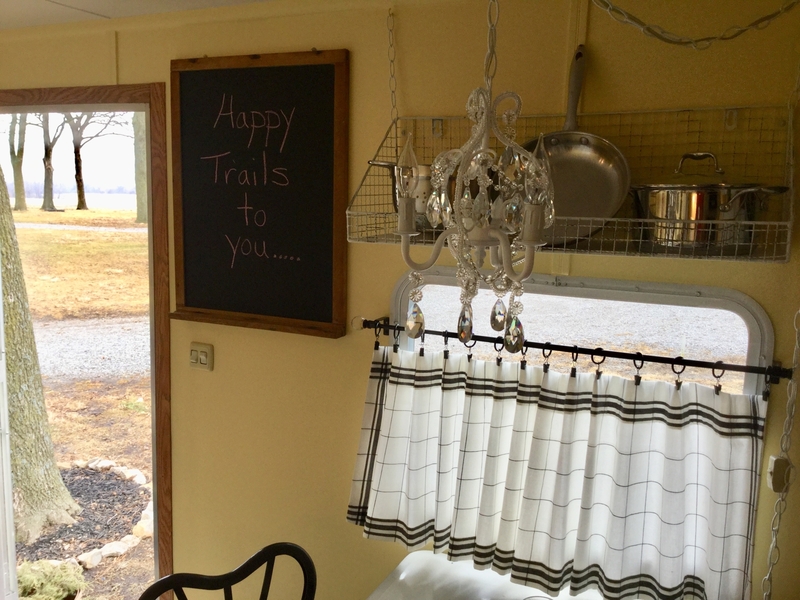 This super cute travel trailer has been completely renovated with uniquely sweet charm. It's the perfect country retreat to escape the hustle and bustle of everyday life. Enjoy your morning coffee curled up on the antique daybed or outdoors viewing the grounds with its dozens of mature shade trees and surrounding fields. You can also take a stroll down the winding country road that borders the property. 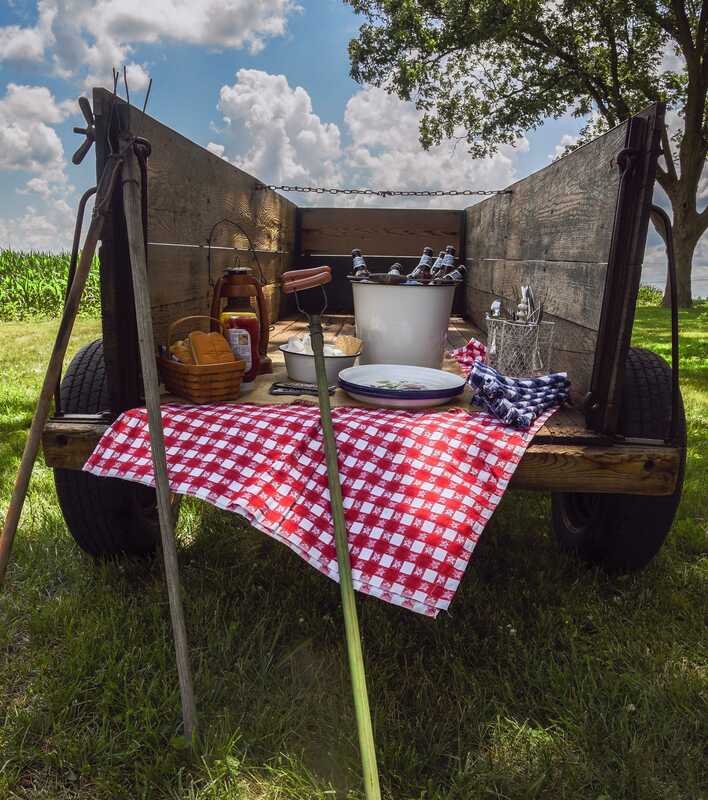 This charming travel trailer is nestled into the grounds of a three acre homestead on a 180 acre farm. 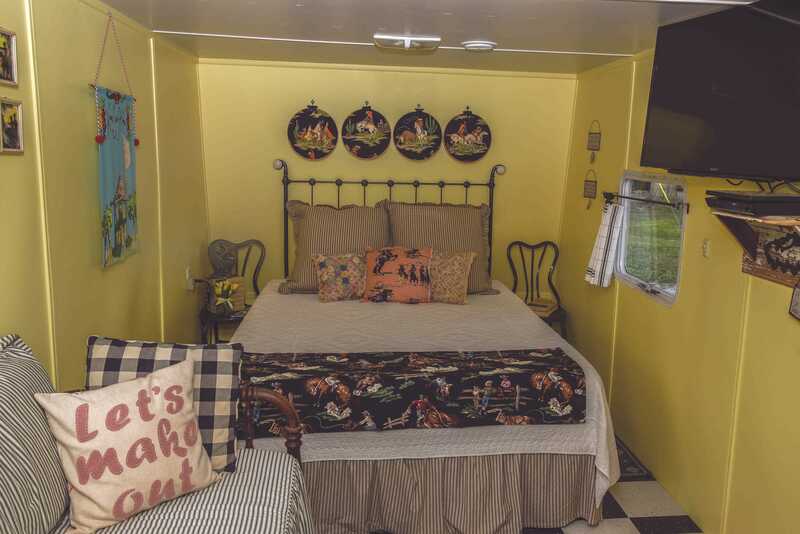 The private drive allows plenty of room for you to park near the travel trailer. 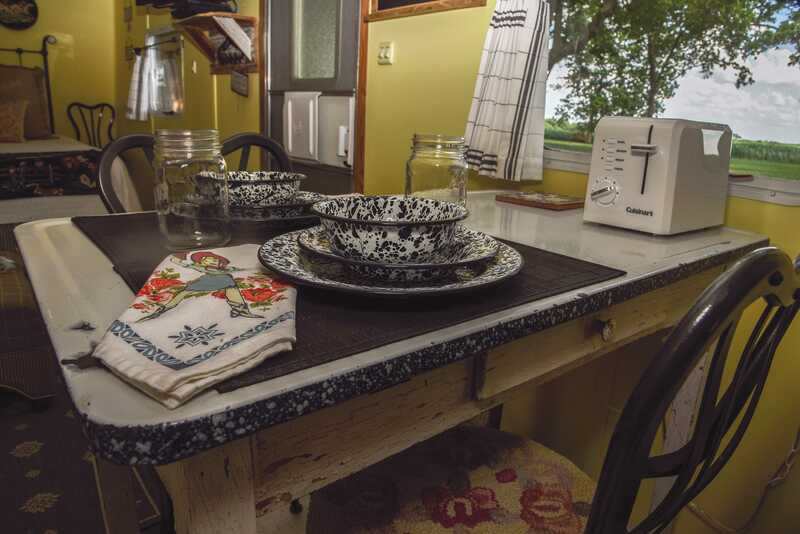 The owner's 1920 Red Brick Farmhouse Bed & Breakfast is located 150 feet from the travel trailer. Not too close, but close enough if you need a cup of sugar! 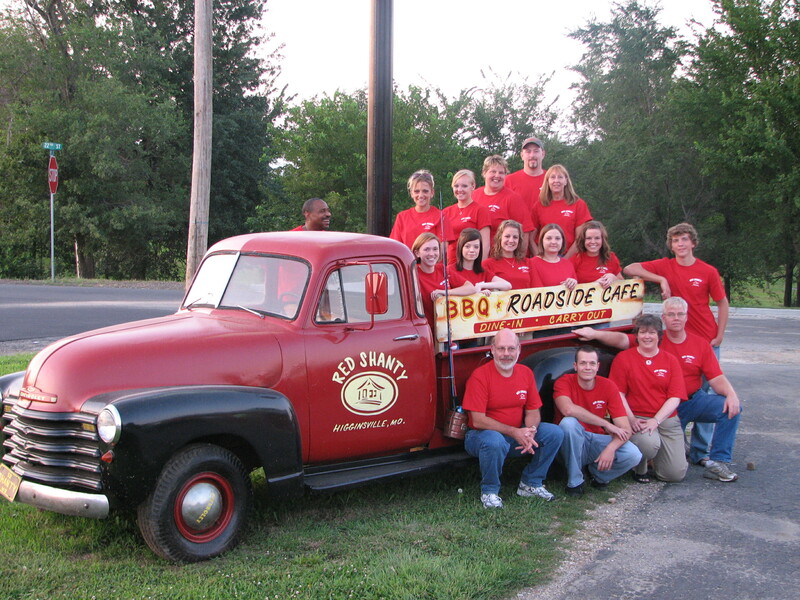 Guest responsible for and making the reservation must be 25 years of age or older. Please Note: There are 3 steps to climb to get into the travel trailer. Call Annette at 660.909.5573 or e-mail to make a reservation. 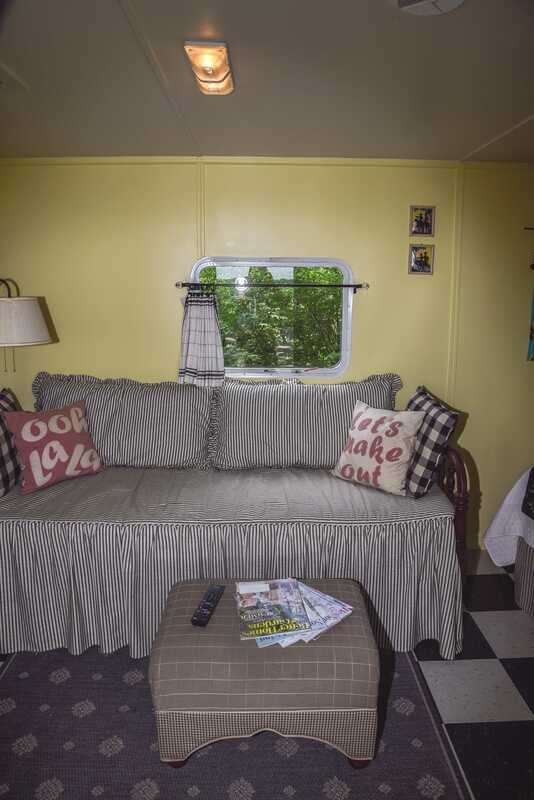 'Ain't She Cute' is a country cozy getaway that provides all the conveniences of home. 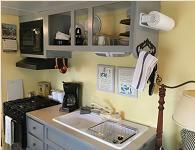 The kitchen is equipped with a full size refrigerator, a gas cook-top, microwave, double sink, pots, pans, dishes and utensils. 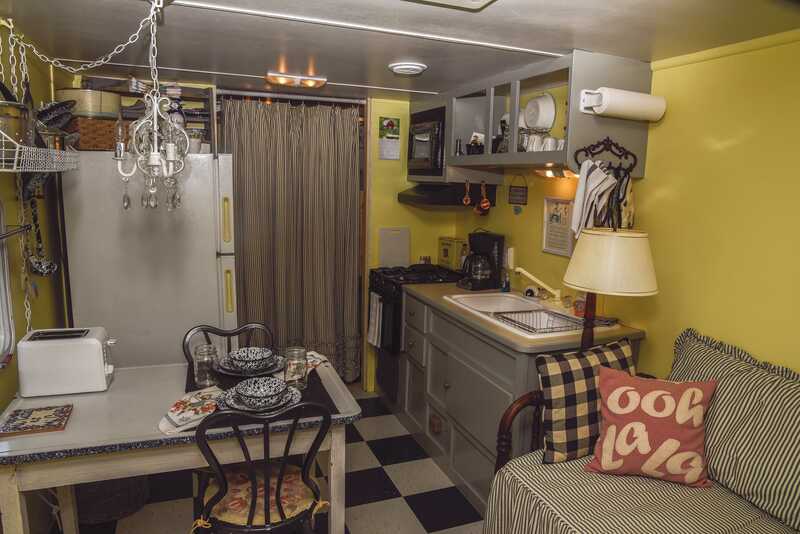 With the open floor plan of 200 square feet, the trailer accommodates a vintage iron, queen size bed, antique daybed for lounging, dining table for two and a full size (absolutely full size, not trailer size) bathroom. 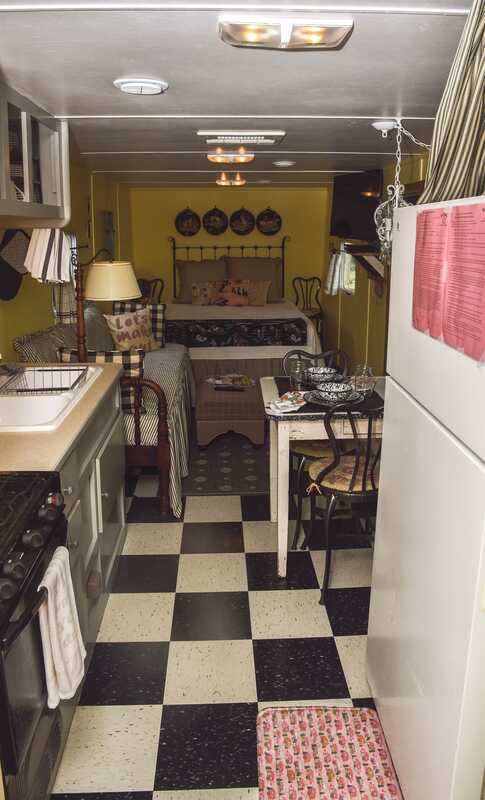 Nearly everything in the travel trailer is either vintage or antique. 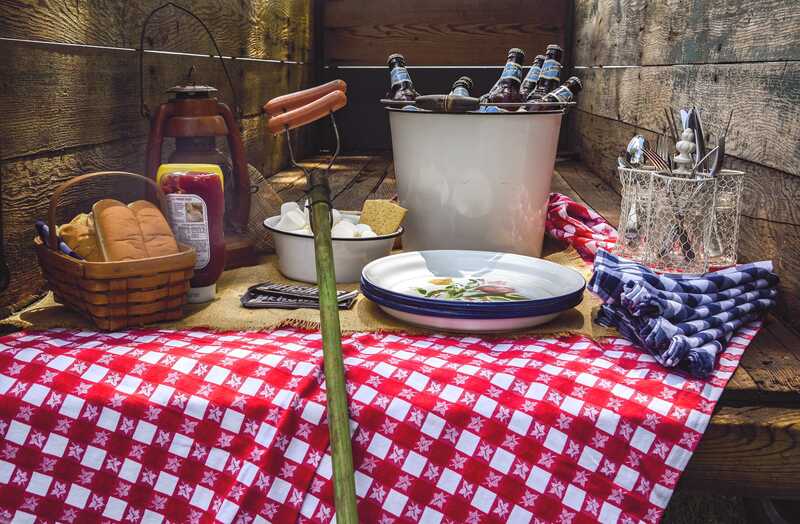 Just outside the cozy trailer is a patio table and chairs and of course a BBQ grill for grilling your favorite meal. 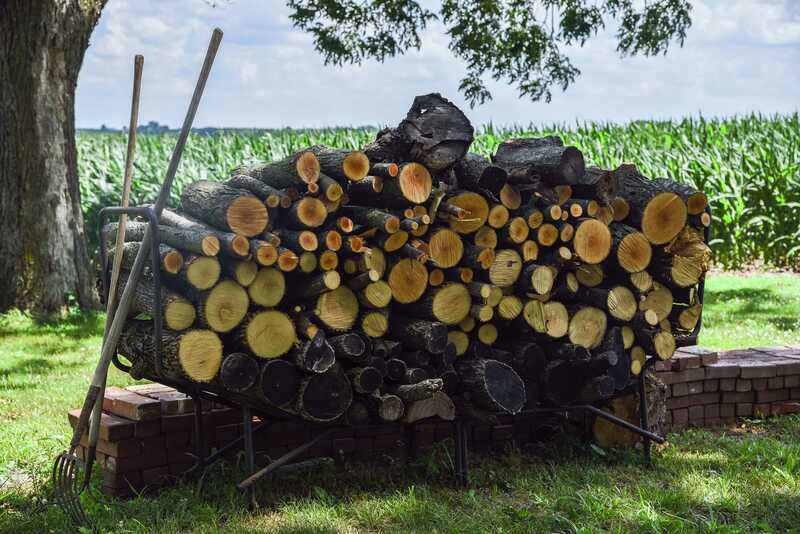 Nearby, on the grounds, are horseshoes and a fire-pit for you to enjoy with plenty of wood. So what are you waiting for? 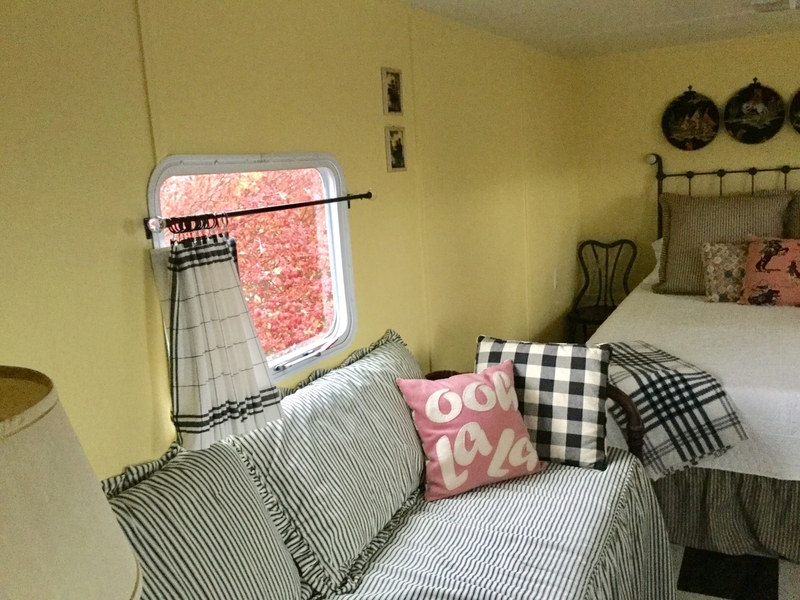 Try out this country, cozy, super cute, 'Ain't She Cute' travel trailer real soon.